This week our focus for English has been debating. The children have been really enjoying debating different topics and using formal language and connectives to help them. In maths, we have mastered finding the perimeter of rectilinear shapes and some children are also confident at finding the perimeter of composite rectilinear shapes too. We have also mastered the formula for area (lxw=a) and most children can confidently find the area of shapes using this. In history we had an interesting lesson looking at the Anglo-Saxon legal system and comparing it to the current legal system. We finished off the week by making some Harry Potter inspired clay models, which hopefully we will get to paint next week when they are dry. Another busy week of learning and rehearsing in Indigo 2. We have come to the end of our multiplication and division block in maths and finished off the week by spending two lessons revising all the key objectives we have learnt. In English, the children have written a recount about The Christmas Truce of 1914 in their independent writing books. In science, we looked at the height and weight of babies and the children created line graphs and bar charts to present how the data changed over time. In history this week, the children created non-chronological reports on Viking life. They did this across a double page in their books and the results have been stunning. Practise for the Christmas production is well and truly underway! We are singing All I want for Christmas by Mariah Carey and Let it Go from Frozen as a year group. I have attached the lyrics at the top of this page. If you could help your child to learn the words it would be much appreciated. In maths this week we have been focusing on multiplying and dividing by 10, 100 and 1,000. Next week is our last week on the multiplication and division block for this half term; we will then move on to perimeter and area. In English we have been learning about the present perfect form of verb and the children have written a summary of Harry's first few weeks at Hogwarts using this verb form. We finished the week by starting some lovely chalk art of Hogwarts castle, which I hope to display when the children have finished next week. Another week full of learning in Indigo 2! In English, we have been thinking about using parenthesis and the different ways we can punctuate this. In maths, we have been learning all about prime numbers, square numbers and cube numbers. On Thursday, we all had a fantastic day with our Viking visitor and the children that had dressed up looked great! We ended the week with another super day raising money for Children in Need. Well done to Teresa and Ruby who were chosen as 'best dressed' and got to walk the catwalk in the hall. What a busy first four days back we have had in Indigo 2! In English, the children have been planning a persuasive letter to the Sorting Hat to try to get placed into their chosen house. In maths, we have started our multiplication and division block and have been learning all about factors and multiples. Next week, we will begin to learn about prime, square and cube numbers. In science, we have started our new topic, 'Animals including humans'. We begun our Viking learning by creating a timeline of key Viking events, in our history lesson. Our Viking longships are now on display outside the office - they look great! We ended the week by having a 2 minute silence at 11am to mark Armistice Day on Sunday. The children then created some fantastic poppies to go on our whole school display in the hall. In the final week of the half term, we have been focusing on statistics in maths. We have been hard at work studying tables and timetables. The children have confidently been able to apply their skills to problem solving and reasoning activities. In English, the children have completed their independent writing. They wrote a recount of a section from the chapter 'Diagon Alley'. I have seen great application of all of the grammar, punctuation and spelling targets we have been focusing on over the half term. On Thursday, we set up the Viking longships in the hall and the rest of the school came to have a look at them. They were amazed (just as I have been) with how much time and effort has been put into creating them. Once again, thank you for all of your support this half term; it was great to meet you all at parents' evening. Have a fantastic half term break. I can't believe we only have one more week of this half term left! This week we have been busy learning how to draw line graphs in maths. We collected our own data (our heartbeats) and plotted how they change when exercising - the results were interesting! In English, some fantastic recounts have been written. The children have shown me they can use expanded noun phrases and relative clauses. Some of them have even got the hang of using a semi-colon! In science, we have finished our learning on our topic 'Living things and their habitats' and next week the children will take the end of topic test. We had another great PSHE lesson where the children thought carefully about what makes a good friend. They have all made a promise to keep for the following week: to smile and make eye contact with people they see. I'm looking forward to hearing how smiley Year 5 have been from other teachers! We had another great week in Indigo 2! In English, the children have been doing lots of work on expanded noun phrases and recounts as this week we are writing a recount of the chapter 'Platform Nine and Three-quarters'. In maths, the children are now confident at using the formal written methods for addition and subtraction. This week, we are moving on to line graphs and the children will be able to get a chance to draw their own line graph based on data they have collected. We had great fun in our PSHE lesson this week. The children had to untangle themselves from being in a human knot, but they weren't allowed to let go of each other. There were lots of listening and thinking skills needed, but they all managed it eventually! We have had a slightly different week in Indigo 2 as we have been doing tests. The children have completed tests in grammar and punctuation, reading, arithmetic and problem solving and reasoning. The children have worked really hard and tried their best in each and every test. On Wednesday, we had a very exciting day in school as we put all of our writing equipment down for one whole day! No Pens Day Wednesday is an initiative from The Communication Trust, which aims to get schools running a whole day of speaking and listening activities. We started the morning by looking at a variety of pictures and using our inference skills to ask questions and try to work out what might have been happening in them. In maths, we worked through some misconceptions by looking at some cartoon posters where each child thought a different thing. This encouraged some great discussion in the classroom and the children thoroughly enjoyed it. In the afternoon we had science and the children learnt all about Jane Goodall. They then split themselves into groups and created a news programme explaining who Jane Goodall is and her work with chimpanzees. Have a great weekend. Have fun if you're going to the fair! Another week has flown past in Indigo 2! We have started to plan a newspaper report, in English, all about a break in at Gringotts Wizarding Bank. In maths, we have come to the end of our first block of learning and we are moving on to using the written methods for addition and subtraction next week. In science we have been comparing the life cycles of mammals and next week we are moving on to learning all about the work Jane Goodall has done. In history, the children drew and labelled what a typical Anglo-Saxon village would have looked like. We ended the week by beginning to design our very own Marauder's Maps! We have really been enjoying reading our class book at the end of each day. Currently, we are reading The Witches by Roald Dahl and the children are already excited about choosing the next book when we have finished. Don't forget it's Harvest Assembly on Monday morning. Any donations will be greatly received. Another super week in Indigo 2! In English, we have been focusing on relative clauses and semi-colons. The children wrote a letter to Professor McGonagall today as Harry. I was really impressed with the level of effort all of the children put in to ensure they produced their best writing. In maths, we have continued with place value. We have been ordering, comparing, reading and writing numbers up to, and within one million. In history, we found lots of different towns and cities that were named by the Anglo-Saxons. We ended the week by making Christmas cards (early, I know!). These will be sent off to the company we used last year and you will get the chance to by your child's design on cards, wrapping paper and gift tags. A brilliant first full week as Year 5s! We are well and truly stuck into our book, Harry Potter and the Philosopher's Stone and have begun our English learning by writing a biography about J.K. Rowling. The children have produced some fantastic pieces of writing using relative clauses! In maths, we have begun with place value and started our learning by thinking about the value of digits, saying and writing numbers, ordering numbers and using inequality symbols. In history, we learnt all about the Scots, Picts, Angles and Saxons invading Britain and how it was split into seven different kingdoms. We finished off the week by starting to design our own house crest. A busy, but fun first week back. It has been lovely getting to know you all; I know we are in for a great year! We have spent the week thinking about key written rules and expectations in books, as well as going over routines in the classroom and the school day. The children have also had the chance to draw their favourite book cover for display as well as writing a mini review to go with it. P.E. will be Monday mornings and Thursday afternoons; please ensure your kit comes into school with you on Monday if you don't already have it here. Remember, it is Mr Honey and Jessica teaching you on a Monday morning, not me, I will be back in the afternoon. Hello new Year 5s! I hope you have all had a fantastic summer (I am excited to hear all about it!) and that you are all ready and raring to go. When you return on Wednesday, please can you bring your P.E. kits with you. We have a lot of 'bits and bobs' to sort out in the first three days before we get started with our topic 'Harry Potter', which I know you are all going to be excited about (but probably not as much as I am!). Our topic for the autumn term is Harry Potter. Myself and Mr Fisher are very excited to be teaching this and have lots of wonderful things planned for you. 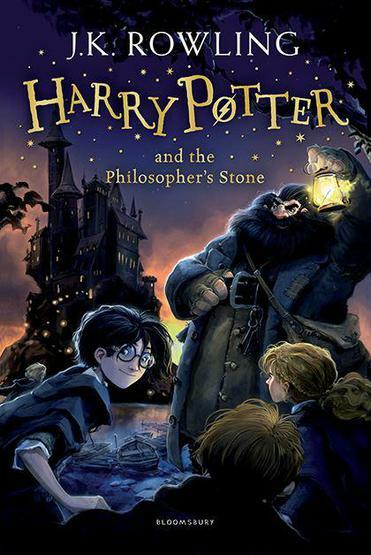 We will be focusing on the first book (Harry Potter and the Philosopher's Stone) in our English lessons as well as completing lots of art and D&T too. Our science focus will be 'animals including humans' and 'living things and their habitats'. We will also be completing most of our history learning this term. Year 5 history is all about the fall of the Roman Empire, Britain's settlement by the Anglo-Saxons and Scots and the struggle between the Vikings and the Anglo-Saxons up until 1066.